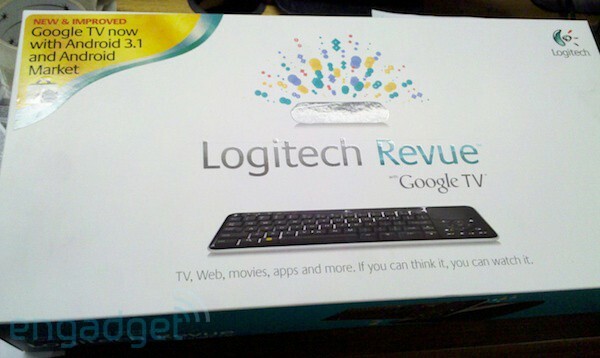 Looks like the newest shipments of Logitech Revues are coming with Android 3.1 (Honeycomb) and the long awaited Android Market. Us who already own the device have been waiting patiently for the OTA, but still have not heard anything. Is this a sign that all we are waiting for is the green light from Logitech? If they are shipping with all the new goodies, then let us get the ball rolling. We are hungry for Honeycomb and the Market on our TVs. Update: Logitech support offers up some clarification on the situation. These units do not actually have 3.1 pre-installed and are also not supposed to be sold until the update is ready. They did not give an actual time as to when we should expect that to happen, but it sounds like we are close.